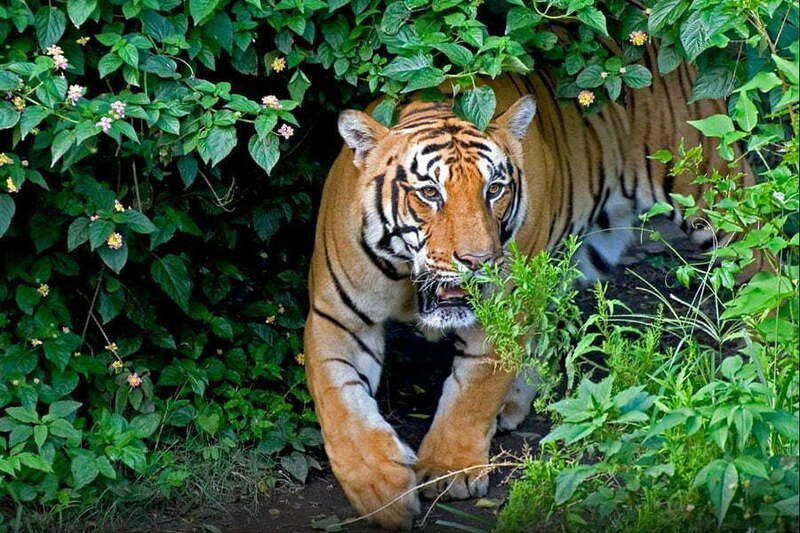 Chitwan National Park is one the most popular wildlife park in South Asia. It is the best park for those who dream to see wild animals, green forest and flat landscape of Nepal. This National park was declared UNESCO Natural Heritage Site in 1979. 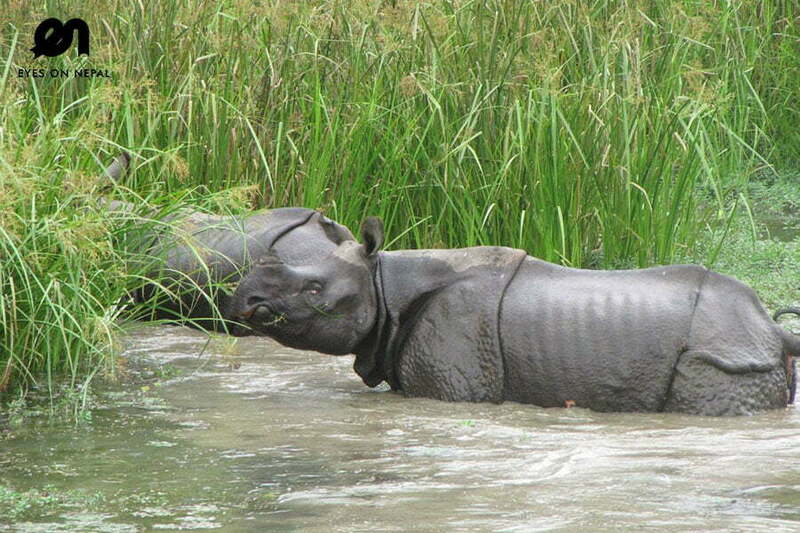 Chitwan National Park is located in natural area in the Terai, the subtropical southern part of Nepal. A total of 68 species of mammals, 544 species of birds, 56 species of fauna and 126 species of fish have been recorded in the park. 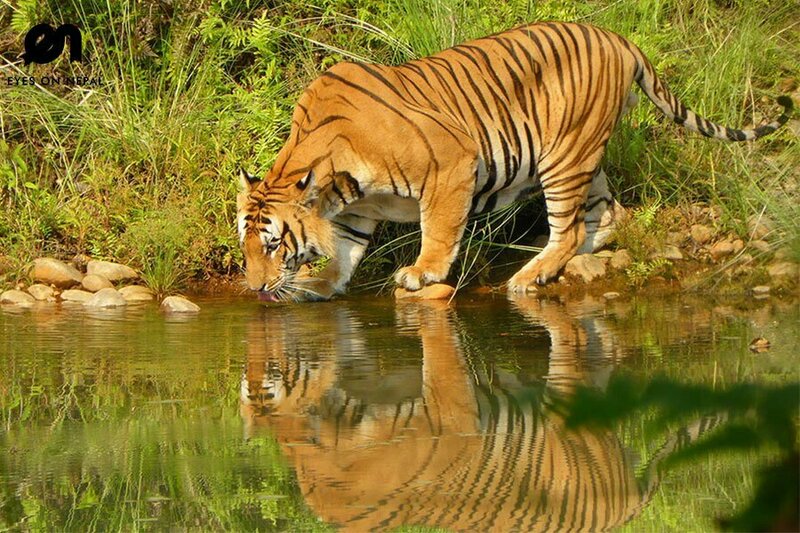 The park is especially renowned for its protection of One Horned Rhinoceros, Royal Bengal Tiger and Gharial Crocodile. This park has covered around 932 Sq. Km area. 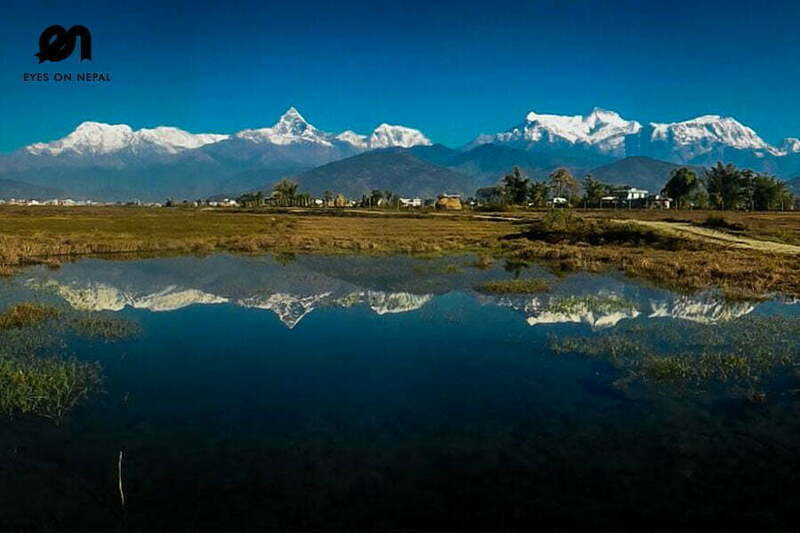 It is 165 Km far from Kathmandu and takes around 20 minutes by flight. We use Hotel Parkland (3 star hotel) as your accomodation in Chitwan, it has a beutiful pool and nice room. For pictures you can browse here. 06.30am: Pick up from hotel. Drop to bus station. 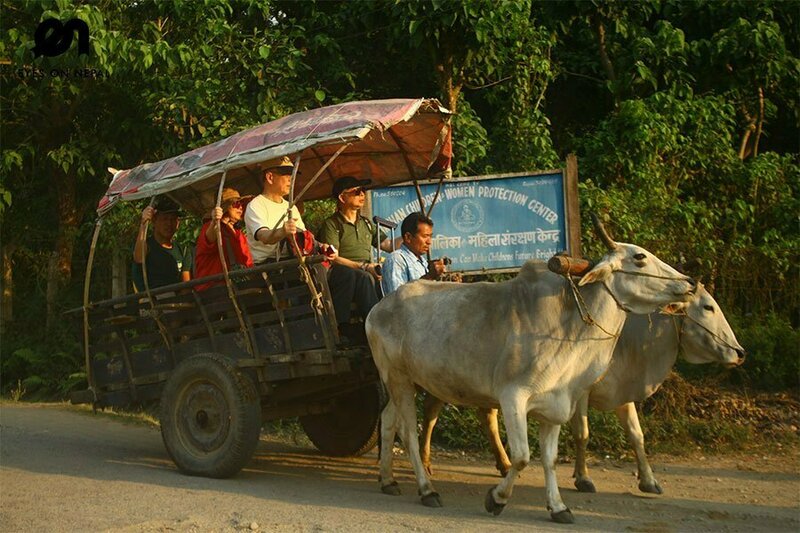 You will travel to Chitwan National Park by fully air-conditioned tourist bus. 07.30am: Depart from Kathmandu/Pokhara to Chitwan National Park. 01.30pm: Arrive in Chitwan National Park. Check in hotel. Lunch at hotel. 02.00pm: After lunch, briefing by tour guide on the programs arranged. 03.00pm: You will be bought to nearby ethnic Tharu Village where you will learn more about the life and lifestyle of the Tharus. Visit to the National Park visitor’s centre where you can learn more about the history of the National Park and about wildlife. You will have a sunset view tour from the bank of Rapti River. 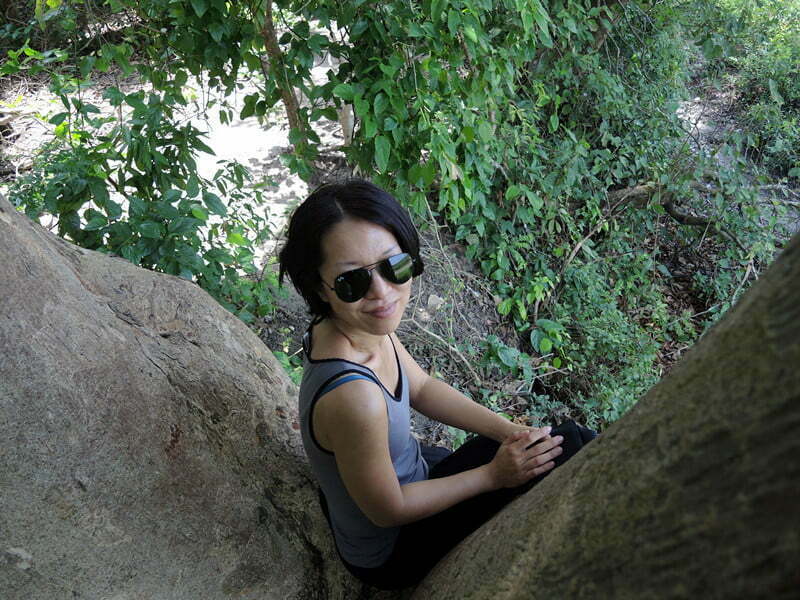 Highlights: Canoe Ride + Elephant bathing + Elephant ride / safari to see rhino, wild boar and etc + Cultural Dance Show. 08.00pm: Tharu Cultural Dance Performances. 09.00pm: Back to hotel. Rest & Relax. 06.15am: Visit Elephant breeding centre. 06.30am: Back to hotel. Check out hotel. Breakfast at hotel. 09.30am: You will be dropped at Chitwan National Bus Park to catch a bus going to Kathmandu/Pokhara/Lumbini. 03.00pm: Arrive in Kathmandu/Pokhara/Lumbini. Tour ends. Accommodations x 2 nights as on itinerary. Tourist Bus ticket to and from Chitwan National Park. Pick up from Kathmandu/Pokhara hotel to bus station. Pick up from Chitwan National Park’s hotel to bus station. 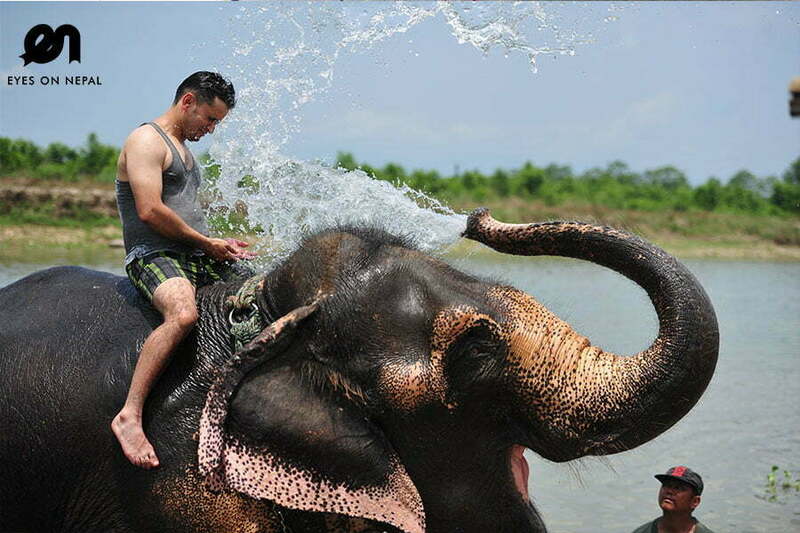 All activities as per itinerary: Elephant riding, Elephant bathing, Canoeing, Jungle Safari, Tharu Cultural Dance Performances ticket, birds watching and etc….. No hidden charges. Tour guide during your stay in Chitwan National Park. Jungle Jeep Safari (OPTIONAL) USD40 per person.